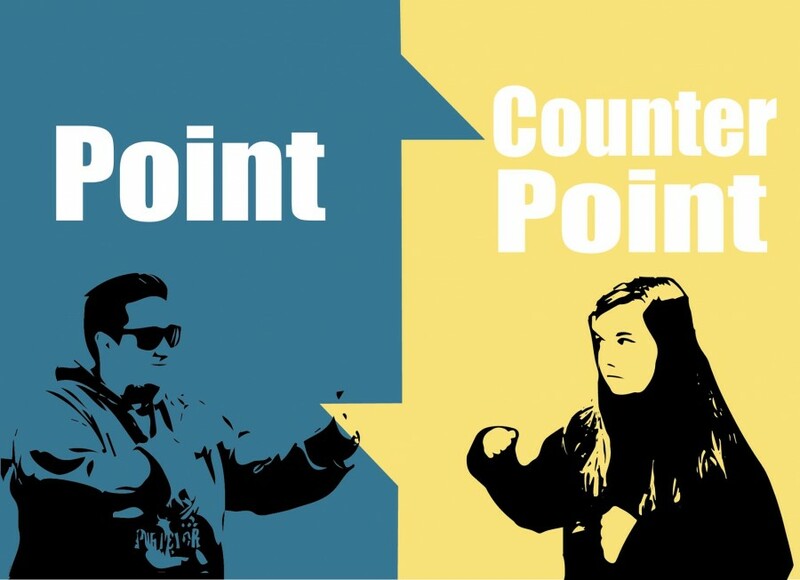 Point Counterpoint: Should students be required to attend convocations? The theory behind convocations being required is, in my opinion, sound. Should students be exposed to events or ideas that are outside their norm, be presented with new or conflicting perspectives and experiences, be open to artistic and cultural events? If these are reasons for and standards by which a convocation is held to, students shouldn’t have a problem with attending, right? The issue is that many of these events are of no interest, of no value or of no importance to students. I’ve attended convocations that have left me on the edge of sleep, have offended students or have been so poorly attended it was laughable. I’ve also attended events that have been interesting and entertaining. These good ones, though, are few and far between. I understand that for many of these events, the only way to get students to go is to make them one of the required options. This is unfortunate for both attendees and performers. Forcing people to go to an event makes for a lackluster audience, something that I’m sure plays into the resistance of forced attendance. Furthermore, I don’t think this requirement caters to all students equally. As a commuter, it works out best for me to go to events scheduled at the 11 a.m. time slot, as I know I can almost always be on campus at this time. When an event is in the late afternoon, in the evening or on weekends – as more than half of the 2015-2016 convocation events are – I am typically unable to be on campus, severely limiting the options I have in choosing the events I must attend to graduate. This is not fair to those who live off campus, have evening or weekend jobs or just have a sh*t-ton of homework to do. I can count on one hand the number of good convocations I’ve been to in the last year and half of offered events and I’ve attended 15 in that time. If the college truly wants to give us quality educational experiences, they need to live up to their standards for what they deem a worthy event and offer those events with more frequency and at times when all students can attend. It certainly wouldn’t hurt if the events were actually of interest to students and were such that attendance was a want rather than a need. While we may claim we live diverse lifestyles, some Lakeland students have never passed the borders of the United States or experienced a culture different from their own. Lakeland has had valued principles of a liberal arts education since its founding, convocations aim to support those. A liberal arts college aspires to expose students to different ideas and cultures. By holding convocations, and requiring attendance, students experience things and ideas they wouldn’t normally encounter. No convocation is silly: the event intends to entertain, inform or provoke thought. Each one seeks to change your perspective somehow, some way. To qualify for convocation credit, events must be educational and must further develop one’s understanding of the world. Students’ attendance is laughably low at times, encouraging them to attend with graduation requirement is a fair way to raise turnout. Most students wouldn’t typically attend these events without a ‘gentle shove’ in the right direction. However, once there they might discover a new interest or passion. Convocations are one of the easiest ways to learn about new cultures or mindsets different from your own. People from around the globe are invited to Lakeland to share their experiences with our students, the least we can do is be there to hear their message. I fulfilled all 24 of my requirements by the end of sophomore year without trying. The key is to attend whenever you have the chance or if any of the events seem remotely interesting to you. Artist exhibits are held multiple times each semester and include free snacks and refreshments. Enjoying a gallery filled with art is the easiest way to grab a convocation credit, and let me stress this again: free food! Plays and musicals are held each semester and are always entertaining. These are student-run, so grab a ticket and help support your fellow Muskies. Honors recitals showcase the best of Lakeland’s musicians and are the students’ way to show the community what they have accomplished. So expand your horizons and attend a convocation, they are free, educational and a requirement.